For good quality of photos a photographer needs some good equipment which will work in different light conditions and frame different compositions. 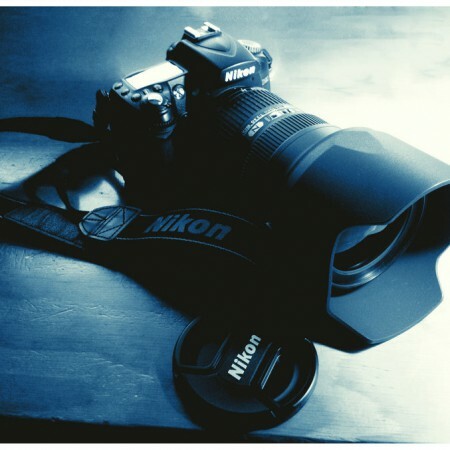 I use a NIKON D90 body and two lenses (35mm, 18-105 zoom) which gives me flexibility in my photography. AF-S DX NIKKOR 35mm f/1.8G delivers the consistently stunning images you’d expect from a prime lens. Its fast f/1.8 maximum aperture is perfect for low-light shooting and creating softly blurred backgrounds; and its classic “normal” angle of view (approximating what we see with our eyes) makes it a great all-around lens. AF-S DX NIKKOR 18-105mm f/3.5-5.6G ED VR delivers compact, versatile and ideal for a broad range of shootings, ranging from interiors and landscapes to beautiful portraits. VR (Vibration Reduction) provides 3.5 stops** of blur free handheld shooting, assuring dramatically sharper still images.